Walking by a storefront, or through the mall have you ever stopped to study the mannequins on display? Some seem to stare directly into your soul; some look like the straight, inanimate objects they are; and others appear as though they could come to life at any given moment. There actually aren’t as many films about mannequins as I thought there would be (a quick Google search proves that), and the most prominent is of course Mannequin, the 1987 rom-com featuring Kim Cattrall and Andrew McCarthy. 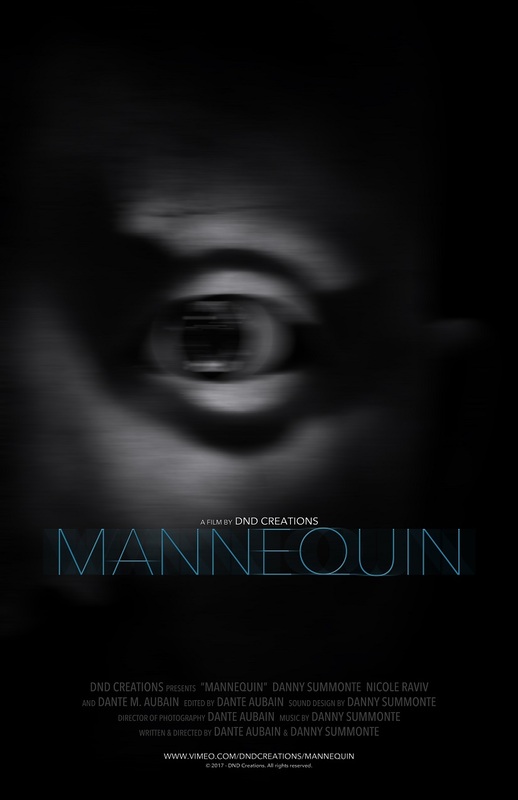 So when filmmaker Dante Aubain approached me asking if I’d check out his debut film Mannequin I jumped at the chance. 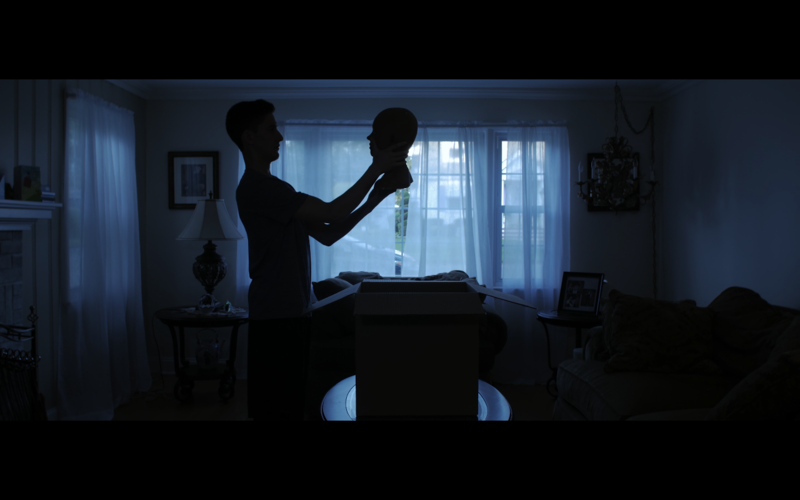 The whole thing starts out innocently enough: A young man finds a mysterious package left at his door. But that’s where the innocence and normalcy ends. As you might expect from the title, Mannequin is about a mannequin…but this isn’t your ordinary life-sized doll. It turns out this mannequin holds a grudge. With this being the first ever film from co writers/directors/actors Dante Aubain and Danny Summonte, I wondered where the inspiration came from. Dante told me, “The inspiration for the film actually came from the mannequin head itself. It was a prop I had purchased for a feature film I was shooting with my buddy a few years back. The purchase was meant to serve two purposes: the neck portion to be utilized for a screwdriver in the throat sequence, and the actual head to be used as part of a sledgehammer bashing. Long story short, rewrites occurred and we only used her for the throat gag, leaving the entire head intact. So I've had Amy (the head) floating around my house for about 3 years now with no purpose, and no want to get rid of her because it was an expensive prop. A few months back, my business partner and co-director, Danny, found the head in the back of my storage closet and thought, ‘Hey, we could make something really creepy with this thing.’ And there you have it!” If that doesn’t prove that inspiration can come from anywhere at any time, I don’t know what does. Taking a look at the film itself, it’s hard to believe this is the debut effort from the filmmaking duo of Dante and Danny. The sharpness of the entire film gives it the air of a much larger budget than they had, and the soundtrack was selected with the utmost care to raise the tension in every scene. Knowing the duo were the only cast and crew on the film only increases my level of awe. The film itself is as entertaining as it was scary. From shots peeking out of the box from the mannequin’s point of view, to the confusion on Dante’s face as he starts to put together the pieces of what’s going on, to the gore shown when the inevitable horror occurs, this is a short not to be missed if given the chance.